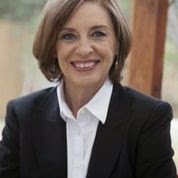 Jan Jarboe Russell is the author of the new book The Train to Crystal City: FDR's Secret Prisoner Exchange Program and America's Only Family Internment Camp During World War II. 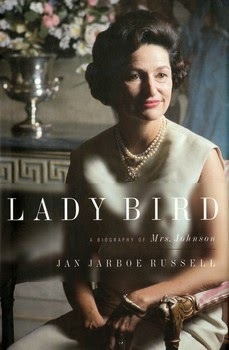 She also has written Lady Bird: A Biography of Mrs. Johnson, and has compiled and edited They Lived to Tell the Tale. A contributing editor for Texas Monthly and a former Nieman Fellow, she lives in San Antonio. 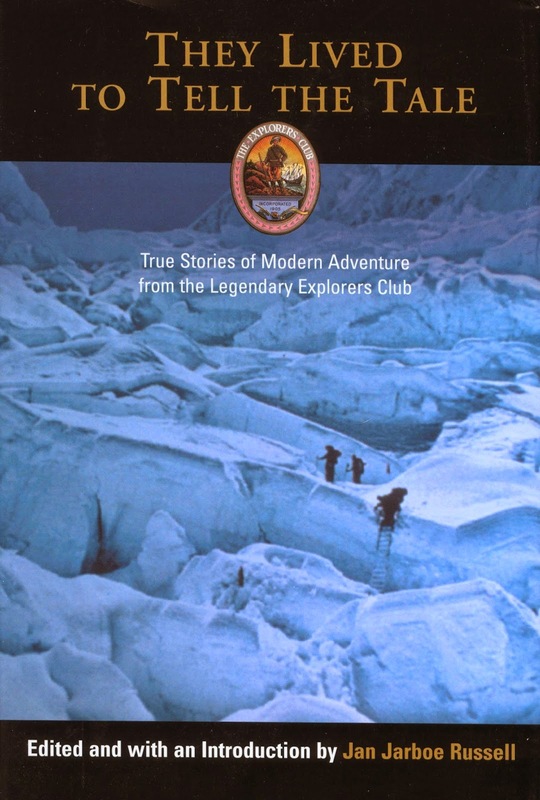 Q: How did you learn about Crystal City, and what type of research did you conduct to write the book? A: The seeds for this book were sown long ago. Forty years ago when I was a student at the University of Texas in Austin, I met Alan Taniguchi, the dean of architecture, at a faculty senate meeting. I was 20 years old and from a small town in Texas. I'd never met an Asian-American before so I asked Professor Taniguchi where he was from. "Brentwood, California," he replied, with a laugh. I asked him how he got to Texas. "My family was in a camp here," he told me. "Church camp?" I asked. "Not exactly," he replied. He then explained that his family was arrested during the evacuation of 120,000 Japanese, two thirds of them born in America, from the West Coast, and that his father, mother and brother wound up at the camp in Crystal City. The book began with the memory of that encounter. Over the years, I thought about Alan and the camp. We kept in touch infrequently, but after the publication of Unbroken in 2011, I stopped by Alan's architecture office on a whim to ask what he thought of the book. His son, Evan, explained that Alan had died a few years before. In the course of the conversation, Evan shared a list of names of Japanese-Americans who were incarcerated in Crystal City. The next day I started calling them, and soon I was on airplanes tracking as many as I could find to interview. The research involved finding the children of the camp -- both German Americans and Japanese Americans -- and interviewing them. That was the memory piece of the puzzle and I started with that. The second part involved petitioning the FBI for the files of the fathers (the so-called enemy aliens in Crystal City). In addition, I spent about a month poring over the official files of the camp located at the National Archives in Washington, D.C. There were thousands of documents to consider. The information in those files formed the chronology of the book. I also took advantage of the files at the National Holocaust museum to locate the document that listed the small number of Jews traded in the January 2, 1945 prisoner exchange. The research involved was both horizontal (the memories of the children, now in their 80s) and a vertical timeline of government documents and oral histories of some of the main characters that are no longer living. Q: How did you find the specific people whose stories you describe, and what do they think of the book? A: One of the names on Alan Taniguchi's list was Sumi Utsushigawa Shimatsu, who at the time I first interviewed her was living in Los Angeles. For years, Sumi has published a newsletter, The Crystal City Chatter, that she sends to all of her Japanese American friends who were with her in Crystal City. Every year for the last several years, a group of those friends gather in May for a reunion in Las Vegas. I attended the reunion in 2012 and met many of those people who became characters in the book. 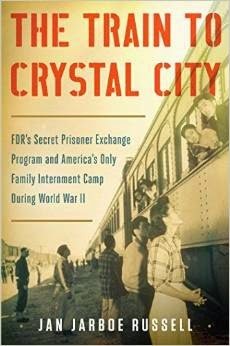 By 2012, I knew enough about FDR's prisoner exchange program to realize that the camp at Crystal City was at the center of it, and focused my research around that issue. Since Sumi was almost traded on September 2, 1943 and forced to repatriate with her father and mother in 1945, I settled on Sumi's story as a way to describe the Japanese part of the equation of exchange, although I describe other characters that were part of that trade as well. Like most people, I was unaware that the U.S. incarcerated Germans and German-Americans during World War II. In the process of research, I located Arthur Jacobs, who was a young boy in Crystal City and who has compiled thousands of research documents about the German experience. Jacobs was a fantastic source. In addition, I consulted the German American Internee Coalition's website at www.gaic.info and read some of the stories of Germans and Germans Americans who were traded. After interviewing several families, I settled on the Eiserloh family's story. As I pieced it together -- the arrest of Mathias based on anonymous accusers, the family's difficult separation, their reunion in Crystal City and the hardships they encountered after their exchange into Germany -- I was repeatedly astonished and, I have to say, flabbergasted at their ability to survive. They left Crystal City on January 2, 1945, and while in Germany faced repeated bombings by Allied forces, near starvation, and suspicion by the Gestapo. Interviews with Ingrid, the eldest daughter, Lothar, her brother and her younger sister, Ensi, formed the basis of the story. Once I had the Eiserloh story of the exchange, I began to wonder about the people who were inside Germany and liberated as a result of the trade. That led me to the story of Irene Hasenberg Butter and the handful of Jews from Bergen-Belsen Concentration Camp who were freed as a result of the 1945 trade. I interviewed Irene at her home in Ann Arbor, Michigan, which like all the interviews, was an unforgettable experience. That's how the book evolved into a story primarily from the point of three teenaged girls: Sumi, a Japanese-American, Ingrid, a German-American, and Irene, a Jewish girl born in Amsterdam. While some of the characters read early drafts and galleys of the book, no one has received the final version yet. The early response from them has been positive. It was not easy for them to relive this difficult time in their lives and I am incredibly grateful for their courage. A: I had no idea that FDR had a secret exchange program during World War II and that American-born children were traded into war. As events of this unfolded, I was astonished at what can only be described as a confusing act of injustice. I was also surprised at how humanely the camp was run. No one was ever tortured in Crystal City. No one ever went hungry. Over the course of the camp's existence, from 1942 to 1948, approximately 6,000 internees were held behind a ten-foot high barbed wire fence and under the gaze of armed guards. They were subjected to daily roll call and all their mail was censored. Despite the loss of freedom, they lived resilient lives. There were three schools -- an American school, a Japanese school, a German school -- and the officials in charge went to great lengths to make the lives of the children in camp as normal as possible. In the course of the camp's existence, no one ever tried to escape. Much of the credit for that goes to the camp's officer in charge, Joseph O'Rourke, a divorced Border Patrol Agent from Buffalo, New York who was followed around by the children in the camp as if he were a Pied Piper. While the characters in this book struggled, most transformed their lives from incarcerated enemies to American loyalists. Theirs is the story of courage and patriotism. Q: You describe the views of FDR and Eleanor Roosevelt toward the internment issue. What did they each bring to the issue that resulted in their differing points of view? A: After the attack on Pearl Harbor, Eleanor and Franklin had two competing visions for the country. Eleanor was focused on conditions at home -- the fight against poverty, the press for social reforms, and the protection of the civil liberties of German, Italian and Japanese immigrants. To her, the assurances of the First Amendment were nonnegotiable. Even before the attack on Pearl Harbor, as Roosevelt watched Hitler annex Austria, occupy Czechoslovakia, and march into Poland, the president's attention shifted away from the home front, leaving Eleanor out of many decisions. After Pearl Harbor, FDR was convinced the threat from saboteurs and spies was real and took aim against enemies at home, real and imagined. The entire political establishment applied pressure on Roosevelt to act not only against Japanese immigrants but Germans and Italians. All the military figures supported the arrest and incarceration of anyone suspected of disloyalty to the United States. Eleanor tried to make the case to him -- and to the country -- that the guarantees of the Bill of Rights must be protected. "These people were not convicted of any crime," Eleanor wrote in a magazine article for Collier's, "but emotions ran too high, too many people wanted to wreak vengeance on Oriental looking people. There was no time to investigate families or to adhere to the American rule that a man is innocent until he is proven guilty." In the end, Roosevelt put the prosecution of the war ahead of all social agendas, and Eleanor had no choice but to go along. A: I haven't yet decided on a new book topic. I'm enjoying the roll-out of The Train to Crystal City. A: My book is a tale of World War II heroism with a twist -- in a time of war-time hysteria, the heroes in this book are not the president or the generals but the children of Crystal City, who despite the betrayal of their country, transformed themselves from incarcerated enemies to American loyalists. Thanks for an informative interview, Deborah and Jan! My mother was a Japanese American internee, and in listening to her stories and even in doing research for The Red Kimono, I learned very little about the camp at Crystal City, and knew nothing about the prisoner exchanges. I especially look forward to reading this book, now knowing that the story is told from three such different points of view. Thanks so much for your comments, Jan! Yes, this is a fascinating book--I'd like to find out more about your book, too, which also sounds really interesting!